Collective Exhibition ‘Ditirambe’ Homage to Dionís Bennàssar in the Bennàssar Art Gallery in Pollença. 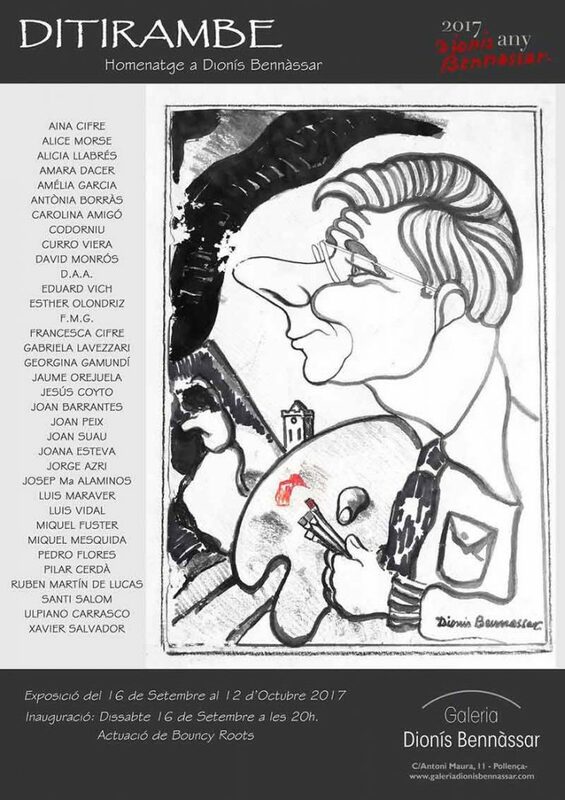 The artist contributes to this collective exhibition homage to Dionís Bennàssar. Opening September 16, 20h until October 12 2017. Bennàssar Art Gallery. Bouncy Roots live music. Free entry.